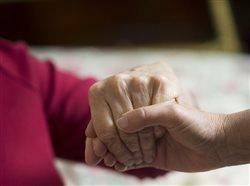 (BPT) - According to AARP, more than 40 million people in the United States are providing care for an older or aging loved one — and 7 million of us are Latinos. That doesn't come as any surprise to members of our community. It's simply what we do for family. For many, caregiving starts with simple errands and to-do items, like scheduling a doctor's appointment or helping out with grocery shopping, and then expands to more responsibilities over time. It's a beautiful thing to do what we can for the people we love, but there are also moments when we can feel worn out or stretched too thin.